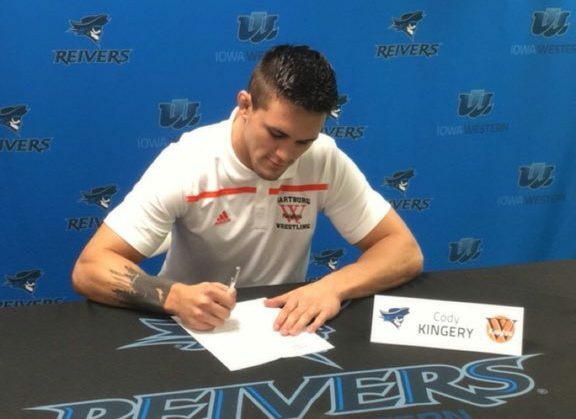 The reigning NCAA champions in Division III just got a little tougher as former Underwood prep Cody Kingery has announced that he has signed with the program. A NJCAA All-American for Iowa Western, Kingery projects at 174 pounds. Kingery picked the Knights over Upper Iowa University, Loras College, and King University. He will attempt to take over the starting spot after the Knights lost All-American Eric DeVos to graduation. After finishing third at his regional this season, Kingery finished strong to take third in the nation at the NJCAA tournament. Kingery was also a three-time state medalist for Underwood high school finishing a career best in 2015 when he reached the 1A finals. April 27, 2018 in Division III, NJCAA.